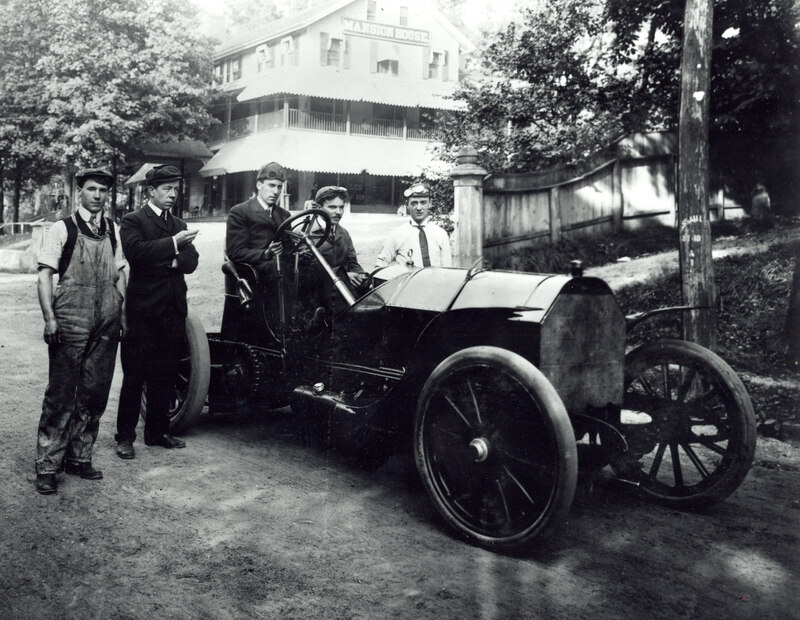 Only one of the 116 cars that participated in the six Long Island Vanderbilt Cup Races did not have a number...the "X" Mercedes driven by Al Campbell in the 1905 Vanderbilt Cup Race. Campbell used the "X" instead of the unlucky 13 which he had drawn as the number and starting position for his car. 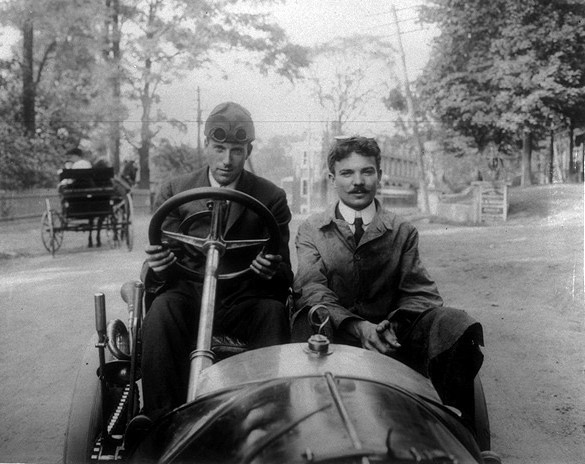 Each race team in the Vanderbilt Cup Races selected a Long Island hotel or private residence to service the cars and provide housing the the driver, mechanician and mechanics. 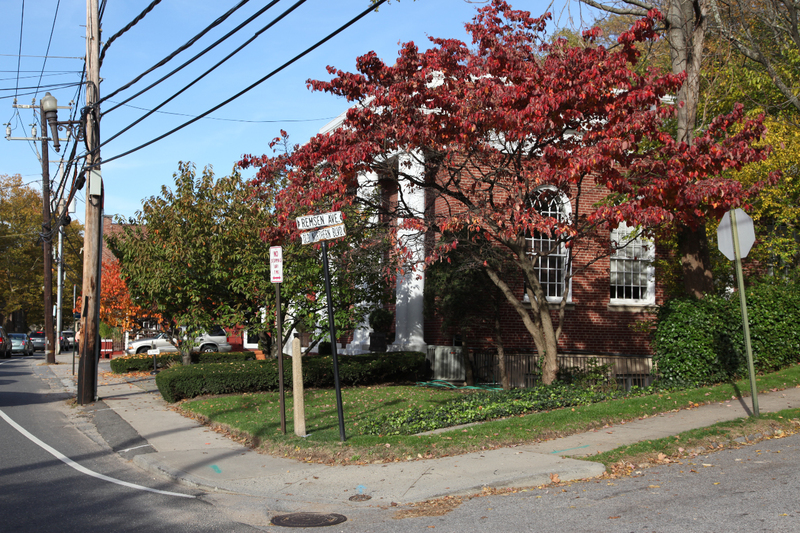 Campbell chose the Mansion House in the Village of Roslyn. 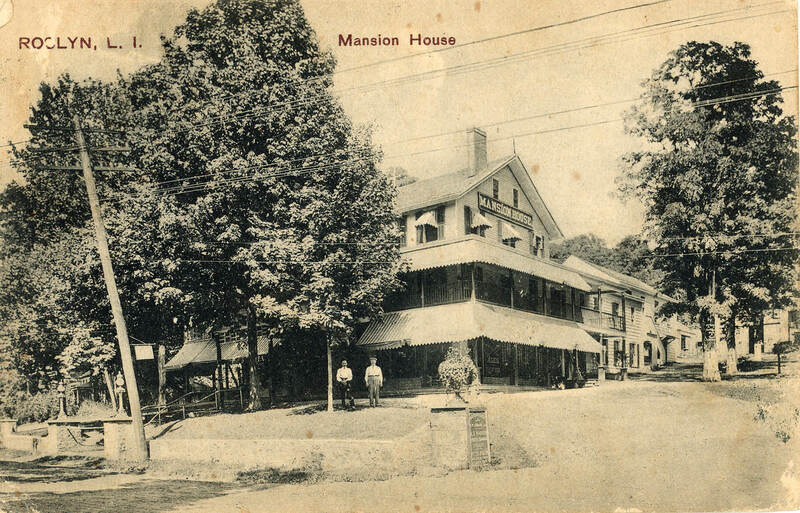 Located on the corner of Old Northern Boulevard and Remsen Avenue, the Mansion House was only four miles north of the 1905 Start/Finish Line in Mineola. Here, Al Campbell and his mechanician pose in front of the Mansion House before the big "X" was painted on the radiator. October 26, 2009 Update: The site of the Mansion House as it looks in 2009. 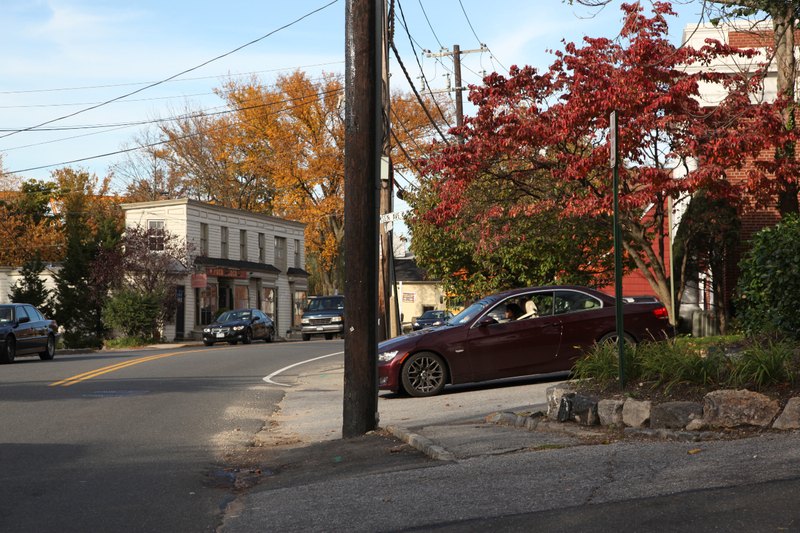 In this photo, the "X" Mercedes team prepares to practice down Old Northern Boulevard. October 26, 2009 Update: Here is the same view on Old Northern Boulevard in 2009. Note the small building in the background (now Poco Loco Mexican Restaurant) that matches the building between Al Campbell and his mechanician. thanks,,,,great pictures of roslyn, and the X mercedes car, would like to see more. I have one of the Warner Auto-Meter like the one on your web site (link below), except the housing is black. It has a serial number 85204 on it. Is there any way to find out what kind of car in went on. I don’t know anyway to link the Warner auto-meter to the car. Sorry!